In 2017 Trafina Privatbank AG was ranked the 236th largest bank in Switzerland in terms of total assets, having 0.00% of the domestic market share. 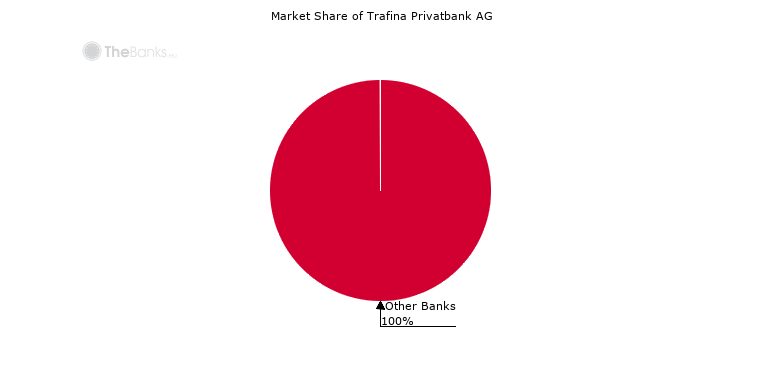 Several banks having the market shares and ranks closest to Trafina Privatbank AG are shown below. 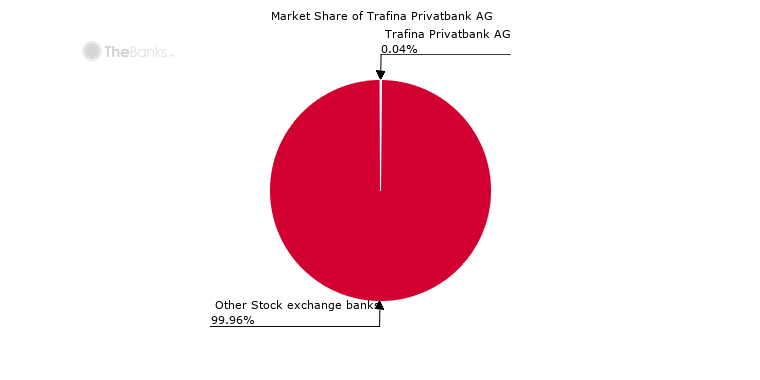 In 2017 Trafina Privatbank AG was ranked the 40th largest stock exchange bank in Switzerland in terms of total assets, having 0.04% of the category's market share. Several stock exchange banks having the market shares and ranks closest to Trafina Privatbank AG are shown below.